Edwardian scholars may be interested in the following CFP for a conference to be held at the University of York next April. Please see their website for more details. In 1910 Walter Sickert penned an article titled ‘Sargentolatry’ that addressed the fervour surrounding John Singer Sargent as an artist and tastemaker. Using the language of religious devotion, Sickert writes of the ‘prostration before [Sargent] and all his works’ by the British art press, the effect this adulation had on other artists working in this period, and how this sense of complacency was bad for both critics and artists alike. 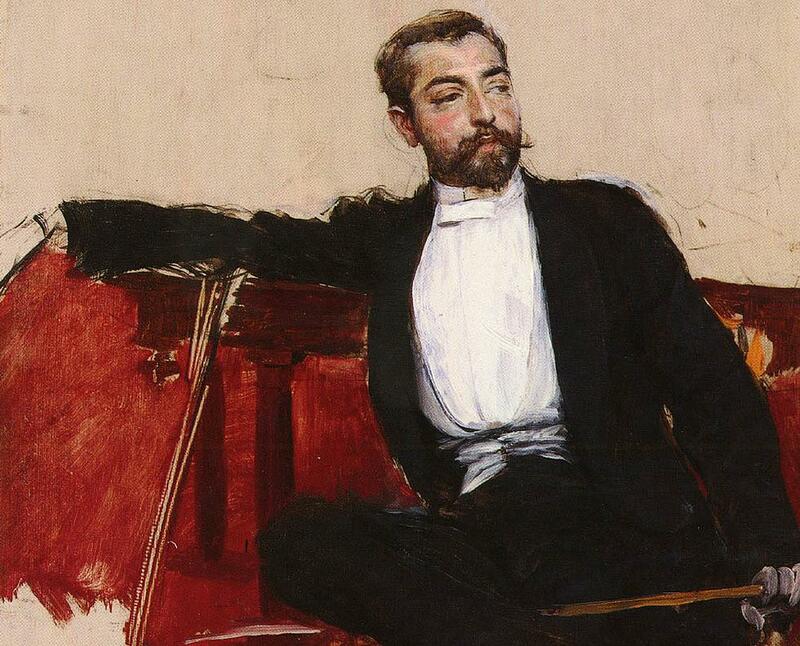 Often, this article has been misidentified with the title ‘Sargentology’ removing the dogmatic tinge of the original, and focusing instead on a study of the work and life of Sargent as a distinct entity within the field of art criticism and the history of art. In the last decades of the twentieth century, however, complicity within this complacency has crept back into Sargent studies. Sargentology has veered back into Sargentolatry, leaving in its infallible wake a dearth of innovation with regard to Sargent scholarship akin to the state of art criticism challenged by Sickert in 1910. What has been lost to scholarship, however, in this transition from ‘-ology to ‘-olatry’ is primary material that shows an altogether different side of Sargent. Take, for example, a 1927 description from Vernon Lee, written to commemorate Sargent after his death in 1925. In this text, she writes thoughtfully regarding the heady days of their youth, recalling with sincerity a more complex and esoteric Sargent than the one known to current studies. Curious. That was the dominant adjective in John’s appreciations, perpetually recurrent during his youth, pronounced with a sort of lingering undefinable aspirate which gave it well, a curious meaning of its own, summing up that instinct for the esoteric, the more-than-meets-the-eye, which plays so subtly through his audaciously realistic work, so that, for instance, in the Spanish Dancers, the Shoeing of the Ox, the Smoke of Ambergris, are turned into incantations, and Carnation Lily into some sweet religious vigil before an unseen altar. This was not the first time private friends and public figures had remarked on Sargent’s attraction to the queer, the strange, and the controversial. Lee’s remarks are outside the timeline of his art, occurring after his death, but the critical body also made frequent note of his attractions to the mysterious early in his career. A. Genevay, for example, reviewing Sargent’s Fumée D’Ambre Gris for the 1880 Salon remarked that if Theophile Gautier were still alive, the canvas would have inspired him to word due to its figure who ‘awakens passion’ and is ‘bizarre and original in effect.’ Two years later, El Jaleo would variously be described as ‘full of strength and energy, bizarre as the manifestation of the latter is,’ designed ‘with astonishing energy and in a weird spirit,’ while The Boston Daily Advertiser would consider it ‘strange and perilous province of art’ and an ‘artistic grotesquerie.’ This is not taking into account much of the public reaction to that ‘pitfall of eccentricity’, the 1884 Madame X, whom Gautier’s daughter Judith famously called a ‘chimera’. That Sargent courted the indistinct, the ephemeral and the sensual is undeniable here early on, but also in perusal of the works produced over the length of his career, as we radiate from rich tonal colours, to prismatic sunlight, from pleasurable parties and creative bodies to the sculptural forms of men in war. Regardless of his subject matter and method, Sargent found the obscure spirit in the matter of the world around him, and it was this element of the psychological, of the ‘more than meets the eye’ that gives a lasting quality to his work. With these two very contradictory bodies of material in mind, we wish to resurrect and redefine a new state of ‘Sargentology’ with an innovative, interdisciplinary conference. Our aim is to shed new light on Sargent studies, and to explore fresh avenues of approach to this great man and his work. In order to really cultivate a sense of what Sargent’s art means for contemporary art historical practice, we welcome any and all submissions that approach Sargent through new and exploratory avenues. This can come through the guise of examination of a new, or little explored aspect of his oeuvre, or a new perspective on a familiar image or collection of works. However, this scholarship does not necessarily need to be image focused. Although Sargent was an artist, he was very well entrenched in the world around him. His was a world that included famous (and infamous) friends and social circles, attendance at notable gatherings, as well as his patronage and support of a vast number of collections, exhibitions and galleries. We welcome anything that seeks to shed new light on any aspects of these areas of his life, along with Sargent’s love of music, world travel and literature, with or without its corresponding effect on his paintings. Sargent’s relationship with other artists and artistic movements. Sargent’s relationships with women: this can include sitters and patrons, but also more notably female authors, painters, actresses or major and minor social figures. Sargent in War – to include any aspect of his brief period as a war artist, the execution of Gassed or any of his military portraits, or the impact such an experience or the War in general had on himself or his art. Sargent as an art collector and connoisseur, including his involvement in the acquisition of paintings for major collections or his donations to major museums. Sargent’s Orientalist/Exoticist Images – this can also include images he executed of those considered ‘oriental’ or ‘other’, including his Jewish sitters. Sargent’s Reception: To include his exhibition venues, any aspects of his criticism, the prejudice to his reputation post 1925, as well as his reception outside of more typical nations such as Britain, France and the United States. Or general analysis of any previously held Sargent exhibitions throughout history. Sargent’s symbolism and allusion (or lack thereof), or any alternate methods of visual ‘reading’. Sargent and the Old Masters: such as, but not limited to, Velazquez, Hals, Reynolds, Gainsborough and Lawrence. Sargent in pop culture: To include the use of his art in advertisements, fashion photography, celebrity culture, or imagery and magazines in the twentieth and twenty-first centuries. Sargent in France – his relationship with major and minor French artists, gallery owners, and authors. Review of any major or minor Sargent books and biographies, especially in light of how they have aided or hindered the longevity of Sargent’s career to date. Please submit a 300 word abstract, along with a brief personal bio, to Sargentology@gmail.com by November 15. This entry was posted in Events and tagged edwardian art, john singer sargent. Bookmark the permalink.